Author Catherine Tumber of “Small, Gritty, and Green: The Promise of America’s Smaller Industrial Cities in a Low-Carbon World (Urban and Industrial Environments). America’s once-vibrant small-to-midsize cities–Syracuse, Worcester, Akron, Flint, Rockford, and others–increasingly resemble urban wastelands. These cities would seem to be part of America’s past, not its future. And yet, journalist and historian Catherine Tumber argues in this provocative book, America’s gritty Rust Belt cities could play a central role in a greener, low-carbon, relocalized future. Tumber, who has spent much of her life in Rust Belt cities, traveled to twenty-five cities in the Northeast and Midwest–from Buffalo to Peoria to Detroit to Rochester–interviewing planners, city officials, and activists, and weaving their stories into this exploration of small-scale urbanism. Smaller cities can be a critical part of a sustainable future and a productive green economy. Coordinated by the UMass Lowell Center for Public Opinion, a panel of experts headed by Paul Jorgensen, Fellow, Edmond J. Safra Center for Ethics, Harvard University and Assistant Professor, will discuss and debate issues from the upcoming presidential election. 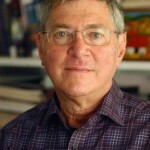 Michael T. Klare teaches at Hampshire College, and is a Five Colleges professor of Peace and World Security Studies. Klare is a defense correspondent of The Nation magazine, and author of Resource Wars and Blood and Oil: The Dangers and Consequences of America’s Growing Petroleum Dependency (Metropolitan). 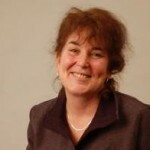 Klare also teaches at Amherst, Smith, Mount Holyoke, and the University of Massachusetts Amherst. Stuart Altman, the Sol C. Chaikin Professor of National Health Policy in Brandeis’ Heller School for Social Policy and Management, has been appointed by Massachusetts Gov. Deval Patrick to chair the agency charged with monitoring the reform of Massachusetts health care delivery and payment systems in order to reduce costs and improve quality. Altman will chair the board of the Health Policy Commission, which sets the broad policy direction for the Commonwealth based on data and information collected by the Center for Health Information and Analysis. Altman also is a member of the Institute of Medicine and a member of the board of Tufts-New England Medical Center in Boston. He holds M.A. and Ph.D. degrees in economics from the University of California, Los Angeles. Boston Mayor Thomas Menino is the current mayor of Boston, Massachusetts.. A native of Boston, Menino served on the city council for several years before becoming mayor. On March 28, 2013 Mayor Menino announced that he is not running for re-election. On July 13, 2009, Menino became the longest-serving mayor in Boston history. According to Menino’s official biography, “Among his main priorities, are: providing every child with a quality education; creating affordable housing; lowering the crime rate; revitalizing Boston’s neighborhoods; and promoting a healthy lifestyle for all city residents.” Menino was president of the United States Conference of Mayors from 2002 to 2003. Nicco Mele, entrepreneur and consultant to Fortune 1000 companies, is one of America’s leading forecasters of business, politics, and culture in our fast-moving digital age. Nicco’s first book, The End of Big: How the Internet Makes David the New Goliath, was published by St. Martin’s Press on April 23, 2013. In it, he explores the consequences of living in a socially-connected society, drawing upon his years of experience as an innovator in politics and technology. Born to Foreign Service parents, Nicco spent his early years in Asia and Africa before graduating from the College of William and Mary in Virginia with a bachelor’s degree in government. He then worked for several high-profile advocacy organizations where he pioneered the use of social media as a galvanizing force for fundraising. As webmaster for Governor Howard Dean’s 2004 presidential bid, Nicco and the campaign team popularized the use of technology and social media that revolutionized political fundraising and reshaped American politics. Subsequently, he co-founded EchoDitto, a leading internet strategy and consulting firm, whose non-profit and corporate clients have included Sierra Club, UN World Food Programme, St. Jude Children’s Research Hospital, AARP, and Medco. Nicco is also on the faculty at the Harvard Kennedy School where he teaches graduate-level classes on the internet and politics. 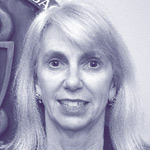 Throughout her career in public health and health care, Ms. Bartlett has been a voice for promoting positive change in health outcomes for Massachusetts residents. As Commissioner Ms. Bartlett chairs the newly appointed Prevention and Wellness Advisory Board, which oversees a $60 million Prevention Trust Fund – the first of its kind in the nation. Recently she was recognized in HealthLeaders magazine as one of twenty individuals making a difference in healthcare in the U.S. Co-sponsored by the UMass Lowell Center for Arts and Ideas. The program begins at 11:45 a.m. with a light buffet lunch. Reservations are required(seating is limited). To reserve a seat, contact artsandideas@uml.edu or CALL 978-934-3107. 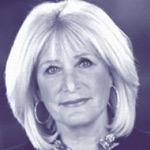 One of Boston’s most engaging anchors and reporters, Susan Wornick spent 34 years at Boston’s number one television station, WCVB-TV. She rose from street reporter, to investigative and consumer reporter winning a cache of awards along the way. Susan’s commitment to keeping her sources almost landed her in jail. The veteran reporter, now retired, will talk about the issue of a Shield Law for journalists, the non-stop 24-hour news cycle, how technology has changed broadcast and all media, and what careers will look like for aspiring journalists as we move deeper into the 21st Century. Co-sponsored by the UMass Lowell Center for Arts and Ideas. The program begins at 11:45 a.m. with a light buffet lunch. Reservations are required (seating is limited). To reserve a seat, contact artsandideas@uml.edu or CALL 978-934-3107. 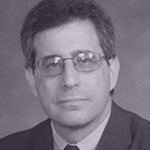 Howard Bauchner, MD, is Editor-in-Chief of the Journal of the American Medical Association (JAMA) and the JAMA Network, the latter consisting of ten additional leading medical journals ranging from JAMA Oncology to JAMA Psychiatry. The Network also includes JAMAevidence, which integrates the best available Evidence-based medicine in multiple and accessible formats to help clinicians recommend, and their patients to make, informed choices consistent with their values. Bauchner became the 16th editor of JAMA in July 2011. He has published over 125 peer-reviewed papers in academic journals, mainly on clinical trials and health promotion. Please note the two events have different locations. Reservations are required (seating is limited.) To reserve a seat, contact community@uml.edu call 978-934-2957. 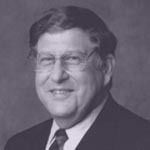 John H Sununu was the 75th Governor of New Hampshire and served at White House Chief of Staff to President George H. W. Bush from 1989-1992. After leaving the White House he started JHS Associates, Ltd, an international strategic business consulting firm, where he has served as President and CEO. From 1992 until 1998, he co-hosted CNN’s nightly “Crossfire” program, a news/public affairs discussion program. In 2010 he served as Chairman of the NHGOP and in 2012 was a prominent Romney campaign surrogate and steering committee member. In this major reassessment of George Herbert Walker Bush, the 41st president of the United States, his former Chief of Staff offers a long overdue appreciation of the man and his universally underrated and misunderstood presidency. “I’m a quiet man, but I hear the quiet people others don’t.”—George H. W. Bush. In this unique insider account, John H. Sununu pays tribute to his former boss—an intelligent, thoughtful, modest leader—and his overlooked accomplishments.